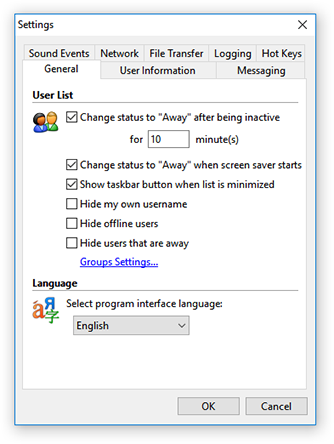 The General tab allows you to change parameters of the Away status, taskbar button, and also hide offline users in the list. Clicking the Groups Settings link brings up a dialog box with advanced group export/import settings. 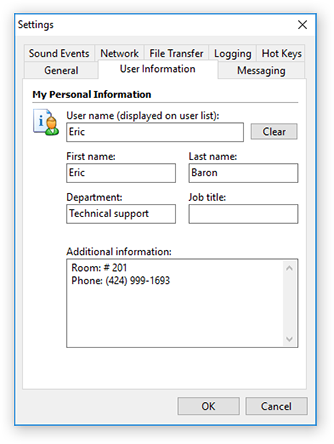 The User Information tab is designed to enter the persona data all other users will be able to view. Clicking Clear removes the content of all text boxes of the tab except for User name. 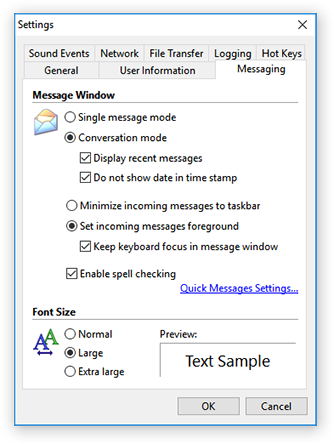 The Messaging tab allows you to set the font size, parameters of showing messages in the Conversation window and also the way of displaying messages on the desktop. 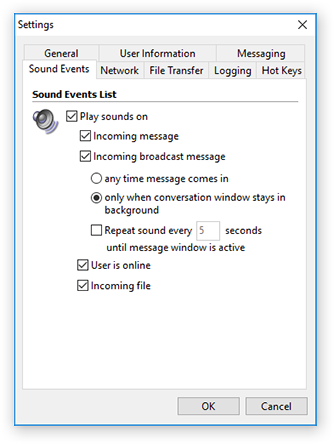 The Sound Events tab offers a number of options to configure the sound alerts Softros LAN Messenger plays when a message comes in, a file notification is received or another user signs in. 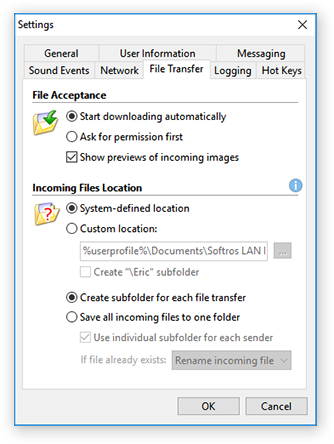 The File Transfer tab allows you to configure the way of downloading incoming files and set the location of received files. 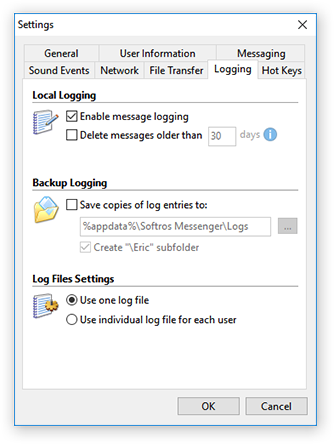 The Logging tab gives access to message history settings. It allows you to enable/disable the logging feature, select one of the two ways of saving messages and also configure backup logging. 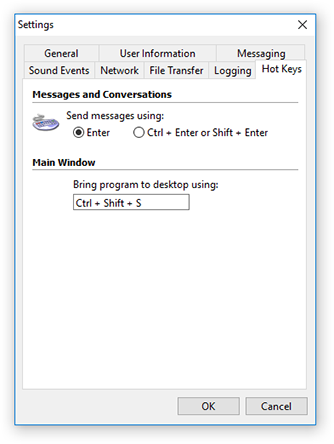 The Hot Keys tab allows you to set keyboard shortcuts for sending messages and maximizing Softros LAN Messenger from the taskbar notification area.